A handy accessory to place your finished shave ice in before serving. 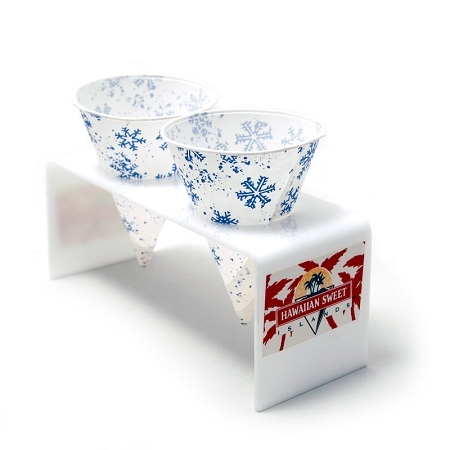 It is made of strong heavy-duty plastic and can hold two snow cone cups. This tool makes snow cone making clean, convenient and enjoyable.